When in town, who’d dare skip the Indy eatery helmed by a Paris-trained chef who crafts fun (blowtorched—seriously!) snacks, including a famous cheeseburger, behind the bar? Indianapolis Monthly named it the city’s Best Restaurant of 2018, describing the place as “dark and moody.” Open three nights a week and with just 16 seats, Bar One Fourteen requires would-be diners to plan well in advance. 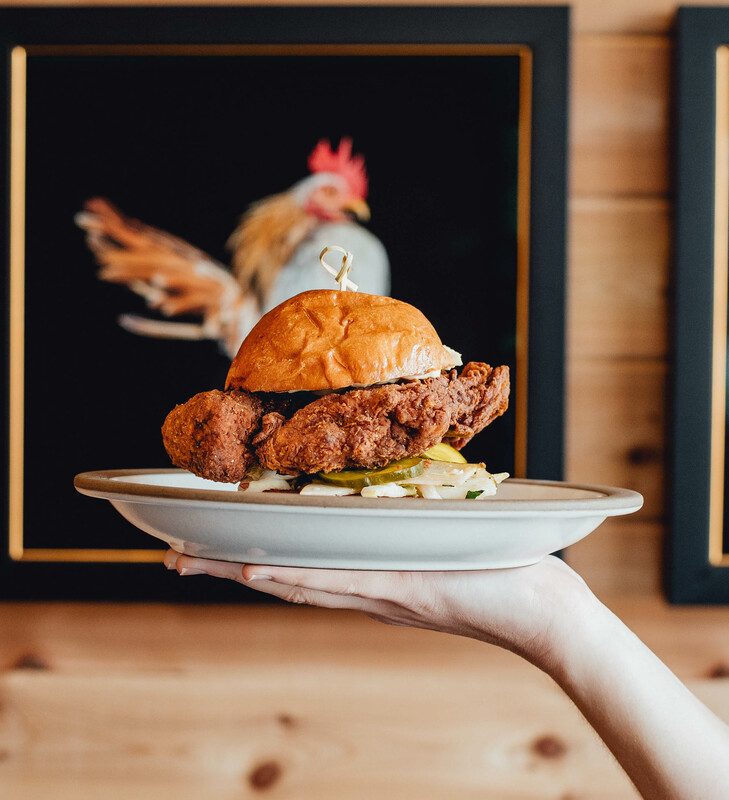 But for those who miss out on that flame-kissed cheeseburger, owner Martha Hoover and executive chef David Hoover also oversee a spot known as Crispy Bird across the street. 114 E. 49th. If your travels spawn a hankering for high-end fried chicken, look no further. Hoover’s Crispy Bird, which debuted late last year, offers playful takes on the fried favorite, whether topping a sourdough waffle or in a slider-size sandwich. Add such mouthwatering sides as grits and the “life-changing” mac and cheese. Eater named Crispy Bird one of the city’s hottest openings earlier this year, and we’re not surprised—the atmosphere’s also über-cool, with light wood panels contrasting against matte black details. 115 E. 49th.